Whether you’re moving to Colorado because of a career change, promotion or you’re starting your own business, finding the right place to call home is imperative. In order to do that, you truly have to spend time in the area, getting to know the lay of the land. Although you could choose to stay in a hotel that offers extended stay, you’ll often spend more and get less than you expect. 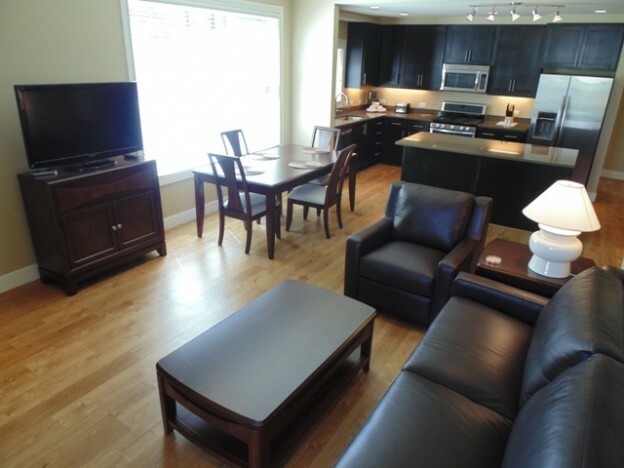 On the other hand, corporate housing offers you all the comforts and convenience of home for reasonable rates. One of the best features of corporate housing is the fact that the home is fully furnished and decorated with professionals in mind. You can even upgrade the furniture so the space will feel like it’s yours by reflecting your personal taste and sense of style. You won’t have to worry about shipping your own items or running out to purchase housewares to use temporarily. Just bring your clothing and personal items and move right in. Everything you need, from cookware, dishes and cleaning supplies to bed linens and towels for the bathroom is provided for you. When you are ready to move into your new home, you won’t have to worry about packing everything and moving it. There’s nothing more frustrating than an excessively long commute through a new city. It’s easy to get lost, and it’s inconvenient, to say the least. Convenience is a major factor in any housing decision, and temporary housing is certainly no different. Take stock of what really matters to you, in terms of where you live and choose accordingly. Whether it’s important that you are close to your job, shopping, schools or entertainment, corporate housing is the answer. You’ll quickly become acquainted with the area which gives you the opportunity to scout out potential new homes. Corporate Housing can be located in many different locations, not just where you find hotels and extended stays – but also in residential neighborhoods, closer to schools, parks, trails, and other important factors to maintain your normal lifestyle. With Corporate Housing will also be able to really get a feel for living in the neighborhoods where you might eventually purchase a home. Extended stays at a hotel can be very pricey, even for corporate customers. And, what you really get for the money cannot compare to what corporate housing offers. You won’t be stuck in a suite that’s too small for you and your family to function in properly. In fact, most corporate housing is very spacious in comparison to a hotel room, providing as much as 75% more room. What’s more, you won’t get a separate bill for the internet connection, cable TV, local telephone and other utilities, they are included in the monthly rate. You can rest easy knowing that your corporate budget will remain intact. Many business travelers that are new to corporate housing are surprised at the cost savings from renting a corporate apartment by the month compared to the cost of an extended stay hotel room for a month. Often times the savings is significant. If you’re interested in corporate housing in Boulder, Broomfield, Denver, Colorado, or anywhere on the Front Range, contact Housing Helpers for more information 303.545.6000. We’re experts at matching people and homes and we’ll be more than happy to assist you in finding the right temporary location for you or your employees. This entry was posted in Corporate Housing and tagged colorado corporate housing, Corporate Housing in Colorado on June 1, 2015 by John Iannone.